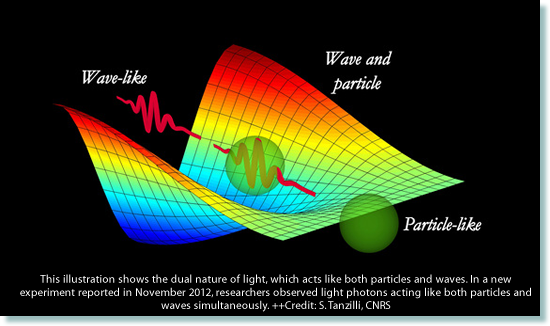 In the early 1900s Einstein was one of the first to embrace the idea of wave-particle duality. The photoelectric effect had caused Einstein to describe light as a particle - one he called a photon. However in his paper on special relativity Einstein treated light as a continuous field of waves. He had no problem accepting the fact that light had a dual nature and chose to treat it as a particle or a wave - depending on the problem he was trying to solve. Physicists now universally accept the dual nature of light. We think of light as a stream of photons propagating through space as electromagnetic waves, and like Einstein, choose to look at a situation in terms of whichever suits the situation best - particle or wave. So light has a wavelength and momentum.... just as an electron does! In fact (when moving) you have a wavelength!